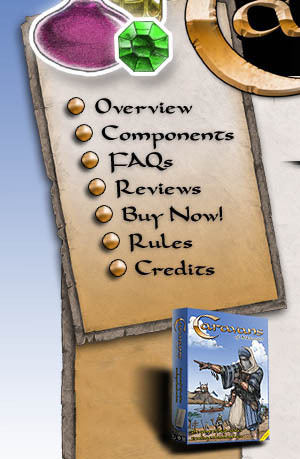 Caravans of Ahldarahd (the boardgame) is Copyright ©2005 BlindLuck Studios. All rights reserved. The world of Ahldarahd belongs to Mark Morehead and is used by permission.